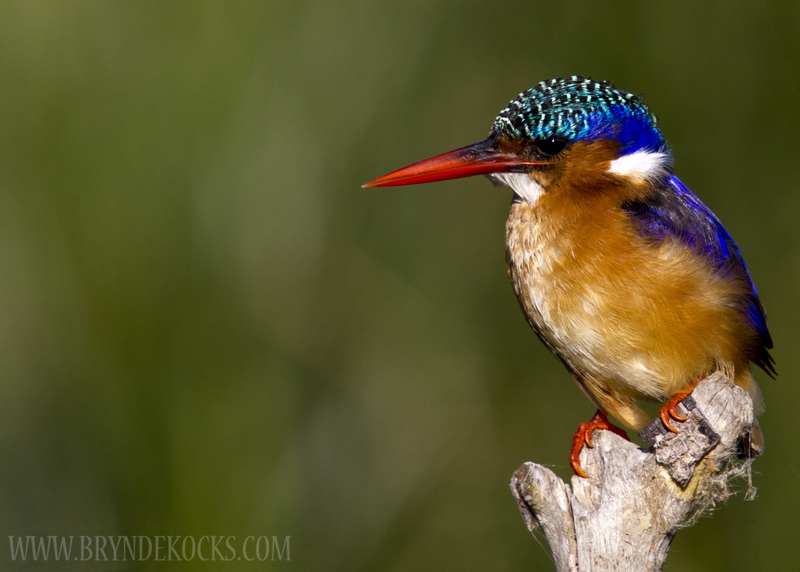 Intaka Island is a wetland bird sanctuary located a mere 10 or so kilometers from the Cape Town city, which offers some excellent birding in a very safe, secure and well maintained area. The story of how the Intaka wetlands sanctuary came about is a fascinating one. The area, which is now covered in apartment buildings and the Western Cape’s largest shopping center was originally an area that very few knew about. The area was covered in thick alien vegetation and it was only after someone flew over in an aircraft with the hopes of seeing what was there, that a large and untouched wetland area made itself visible. 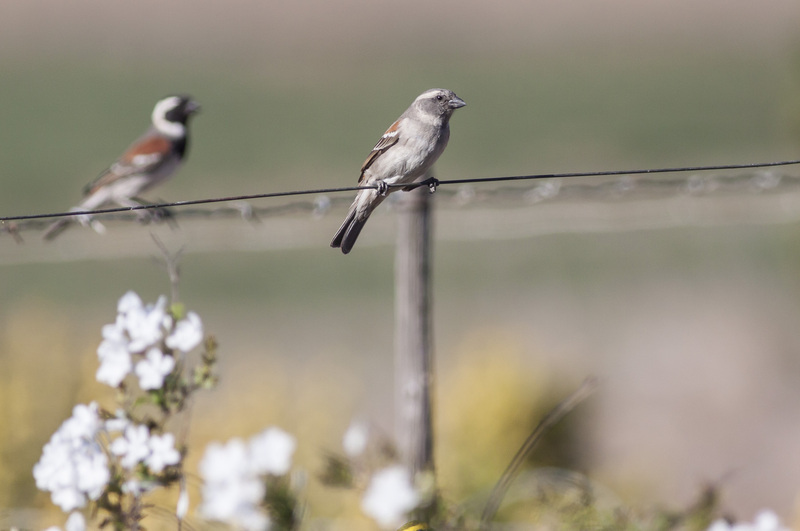 At the time of the discovery it was an exciting venture for those lucky enough to have caught word about it, with several groups of birders making the trip to the area in the hopes of battling with the wall of Port Jackson which created a natural fencing around the wetland. The few that did make it the wetland area were astounded by just how untouched and pure the area was, while the population and development had continued to grow around Cape Town, this little gem of a wetland was somehow lost from the public’s eyes. In the mid 1990s development began on Century City, which happened to be in this area and they would be building on the wetland area essentially. Naturally there was a lot of dismay from the nature lovers who had now learned of the existence of this wetland, expecting that the Century City developers would be hasty in destroying the natural aspects of the area for development purposes, but in contrast a welcome change from the usual tales of development took place. Instead of destroying the wetland in it’s entirety, Century City decided that they wanted to preserve some of the wetland, this initiative lead to the development and opening of the Intaka Island wetland reserve. Intaka Island began as a rather low budget reserve which involved a simple little office area where one gained access to the sanctuary, however, today it is one of the most impressive wetland reserves in the country, especially in terms of maintenance and facilities. One enters the wetland reserve through a very neat parking lot, and after crossing a bridge leading to the canals you arrive at a very modern looking, well built building, that looks more like the entrance to a bank than to a wetland reserve. Inside there are bathroom facilities, benches and tables both inside and outside and walls lined with eye catching bird photographs taken within the sanctuary. Navigation through the sanctuary is easy with paths even being wheelchair friendly, and for those unfamiliar with the wetland set-up, you are provided with a detailed map when you pay your entry fee, which I must say – is extremely low! For only R10 entry, or R5 for pensioners, you gain access to the Intaka Island wetlands. One of the most impressive things about Intaka is their desire to keep the process and maintenance of the wetlands as natural and as eco-friendly as possible, they use a special ‘recycle’ system for the water where it goes through the canals and comes back to the wetlands through a lining of pipes which run under the boardwalk as you enter. They also use natural methods at controlling the algae build up in the one pond, while on the more open pond they use the natural method of allowing the wind to help control the algae growth. It is definitely worth requesting that one of the guides give you a talk on how the process works, I know I was extremely surprised and pleased at the lengths they go to, to ensure that things are done as eco-friendly as possible. The entrance to the path begins on the left of the counter where you pay, as you enter this area you will come to a wooden deck area – in the waters in front and below you, you’re likely to see water species such as Mallards, Yellow-Billed Ducks, Red-Knobbed Coots and Common Moorhen. This is the first pond, and here you will also find, in the Spring months – Red Bishops lighting up the reeds. Cape Weavers, Lesser Swamp Warblers, Levaillant’s Cisticola and others can also commonly be seen at this pond. 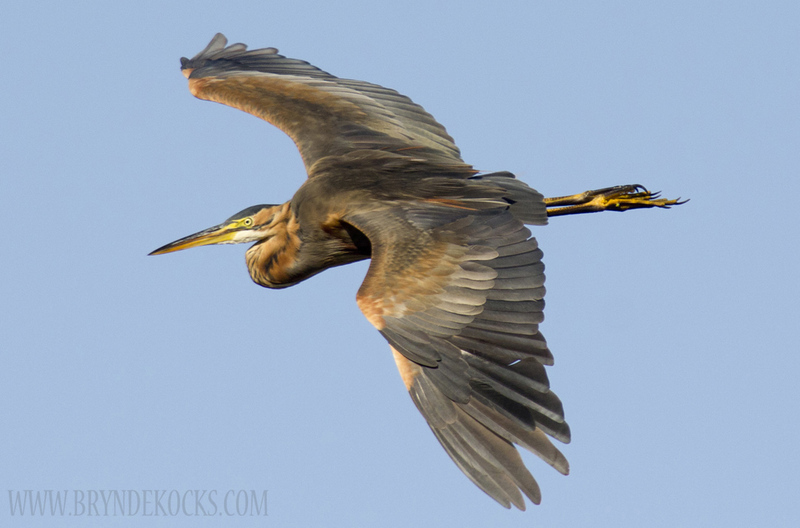 Throughout the sanctuary you are also likely to see a variety of Herons. After moving around the left side of this pond, you can turn left along a small path which leads to an area of the wetlands in their natural state. That is to say that here you will see a large area of wetland that they are not using any methods to maintain and rather leaving it to exist as it always has, this is an area of the sanctuary which in the middle of 2012, they were still working on the viewing area. 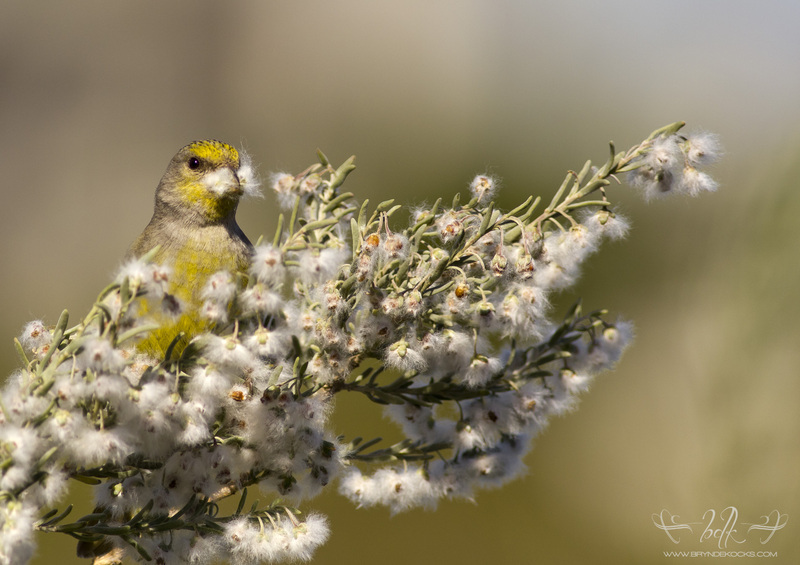 Be sure to look in the trees alongside the paths as common species include Sparrows, Cape Canaries, Pigeons, Doves, Robin Chats and more. In the larger trees you may be lucky to see one of the few raptors that visit the sanctuary, Black Shouldered Kites and African Harrier Hawks are seen. 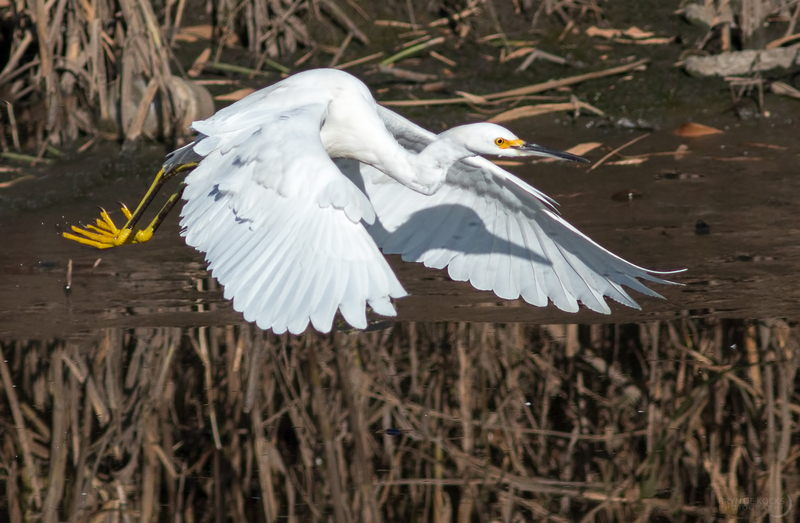 You can then move up to a viewing gazebo which overlooks the next pond – here is where you can often see Cormorants, African Darters, African Spoonbills, Red-Knobbed Coots, Night Herons, Dabchicks and Gulls. This pond is set up with nesting areas in the water for the nesting of the African Darters and Cormorants primarily. Moving back down the path that lead to the gazebo, you then move left back onto the path and towards the most popular of the ponds. This next pond is the reason why photographers have made the Intaka Island wetland sanctuary like a second home. There is a very impressive hide which is located just feet from the Kingfisher perches, these perches offer photographers an excellent opportunity to get some up close and personal with Malachite Kingfishers which often frequent these perches, though the perches also often play host to Pied Kingfishers and Brown Throated Martins. If there are any complaints, it’s that on some days this hide can be completely filled with birders and photographers, and one actually has to wait until someone leaves before you can get access. There is another hide just next to this main hide where one can also get another view of the previous pond. The route then leads through towards the starting point (Eco Center) – on the trip back you’re likely to encounter most of the same species as the first pond, though the bushes that border the ponds can often house some surprises.